Undocumented students are school-age immigrants who live in the United States after entering the country without inspection or after overstaying their visas. Undocumented students can apply for admissions to Oregon State University but are required to submit either a HB 2787 tuition equity affidavit or tuition equity form in order for their admissions application to be processed. Some undocumented students may be part of DACA (Deferred Action for Childhood Arrivals) while others are not. Resident Alien A resident alien is an immigrant who possesses a Resident Alien Card, is a permanent resident of the United States, but does not have citizenship. A student who possesses a Permanent Resident Card (Resident Alien Card-RAC) is not considered an undocumented student. When applying to Oregon State University a Resident Alien should select “Resident Alien” as their citizenship status on the application and must submit a copy of the front and back of their resident alien card to the OSU Office of Admissions in order for their application to be processed. Undocumented- An undocumented person does not have valid immigration status in the U.S. Undocumented students applying to Oregon State University should fill out the domestic student application, select “Non-U.S. Citizen” for their citizenship status and use 999999999 as their social security number unless they have been granted a social security number through DACA. Undocumented students are required to submit a Tuition Equity Affidavit or form in order for their admissions application to be processed. DACA/DACA-mented- Students who are DACA recipients (Deferred Action for Childhood Arrivals), also known as “DACA-mented” students, are still considered undocumented students even though they may have a social security number and/or an Employment Authorization Card. DACA students should follow the same steps as an undocumented student when applying to Oregon State. A copy of your Employment Authorization Card is not required for admission processing. Refugee/Asylum- A student who is a refugee or is in the United States on asylum is not considered an undocumented student. A student who fits this classification should apply to Oregon State University using the domestic application, list their citizenship as a “Resident Alien” and submit a copy of the I-797 or I-94 showing their immigration status. International Student- An international student is a student who is entering or entered the United States with a valid non-immigrant status in the US. International students should apply using the International Student application. Certain visa holders, such as dependents of non-immigrants in H-1B or E-2 status, may be eligible for in-state tuition. Students should view the OSU residency page to determine if they are eligible for tuition residency. International students who are in the process of changing their immigration status, or who have questions about their immigration status, should consult with the Office of International Services at isas.advisor@oregonstate.edu. Oregon State University offers a holistic approach to its application review process meaning we consider all achievements, both academic and non-academic, when evaluating applications. This includes but is not limited to the strength of coursework the student completes during high school, AP/IB or college course coursework, academic performance (GPA and ACT/SAT scores), creativity, initiative, motivation, leadership, persistence, service to others, intellectual curiosity, exceptional academic talent, substantial experience with other cultures, and the ability to overcome significant challenges. For more information about application deadlines and requirements visit the admissions website. Students interested in applying to Oregon State University can find the admissions application online at http://oregonstate.edu/admissions/main/apply-choose-application. All freshman and transfer students who are applying for a bachelor’s degree program are considered undergraduate students. Undocumented students should apply to Oregon State University using the domestic student application and select “non-US Citizen” for their citizenship status. If the student has been assigned a social security number through DACA they can use it for their social security number on the application otherwise the student can use all nine’s (999999999) to complete the application. Incoming freshman/first year students are required to submit official ACT or SAT test scores and official high school transcripts in order for their application to be considered complete and processed. Along with these materials, undocumented students must submit a tuition equity affidavit or tuition equity statement. Transfer students are required to submit official transcripts from all colleges they have attended. Along with these materials, undocumented students must submit a tuition equity affidavit or tuition equity statement. The Degree Partnership Program (DPP), previously named "Dual Enrollment", is a program that allows students to be jointly admitted and enrolled at Oregon State University and any community college partner. The program is open to all undergraduate students pursuing their bachelor's degree. International students may also be in the DPP program with Linn-Benton Community College and Portland Community College, but are required to work with their International Advisors. Post-Bac student may also participate in the program but must first be admitted to OSU. Students who are admitted to Oregon State University through the Degree Partnership Program can receive Oregon Promise while a DPP student. To learn more about using Oregon Promise as a DPP student visit the Degree Partnership Program – Oregon Promise website. HB 2787: What is it? House Bill 2787 provides certain students an exemption from nonresident tuition and fees at Oregon public universities. In summary, OSU may grant in-state tuition for undocumented students who have: attended elementary or secondary/high school in a state or territory of the U.S. for at least five years; studied at an Oregon school for at least the last three years prior to leaving high school; graduated from an Oregon high school or received a GED in Oregon; and show intention to become a U.S. citizen or lawful permanent resident. Undocumented students who do not meet the criteria for HB 2787 can still apply to Oregon State University but will be assessed as a non-resident student and will be required to pay non-resident (out-of-state) tuition and fees. First-time undergraduates (freshmen and transfers) who are admitted to Oregon State University, and meet the requirements of HB 2787, may be assessed in-state tuition rates at Oregon State University. Please note: the assessment of in-state tuition rates under HB 2787 does not change a student’s residency status. How to apply for HB 2787- Tuition Equity? Students wishing to be considered for in-state tuition rates under HB 2787 should apply using a domestic admissions application and answer the citizenship questions as ‘non-U.S. citizen’ then submit the HB 2787 affidavit. Completed affidavits can be mailed to Oregon State University Office of Admissions or scanned affidavits can be emailed to an OSU Admissions Advisor or to residency@oregonstate.edu. Please note that part of the affidavit must be completed in the presence of a notary public. I’m an undocumented student but I don’t meet the HB 2787 requirements. How should I apply? Students who do not meet the requirements for HB 2787 should apply using the domestic application as a ‘non-U.S. Citizen’ and must submit the Tuition Equity Statement form. The Tuition Equity Statement form must be submitted before the admissions application will be considered complete and processed. Oregon State uses the Free Application for Federal Student Aid (FAFSA) to determine your financial need and eligibility for various programs. Your financial aid award is designed to meet as much of your financial need and eligibility as possible, and is determined by your need level as demonstrated by the FAFSA, and by the availability of funds. 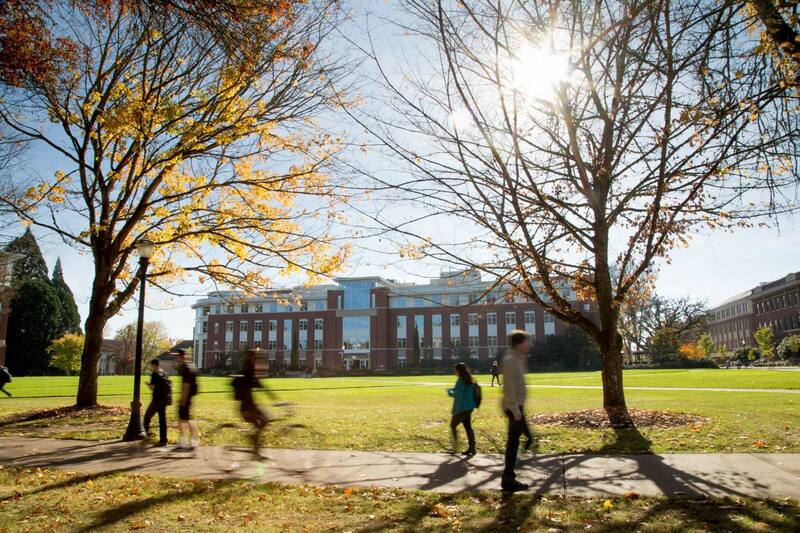 Oregon State offers merit-based scholarships, as well as need and non-need based financial aid. For a complete list of federal eligibility requirements, visit the Federal Student Aid website. Undocumented students are not eligible to receive federal aid, grants or loans however DACA students who have been provided with a social security number can fill out FAFSA in order to receive a Student Aid Report (SAR). Although they can fill out FAFSA and get a SAR these students still cannot access federal aid. Student Aid Reports (SAR) can be used to demonstrate need and can be used to apply for private, state and institutional funding. SB 932 (Senate Bill 932) allows eligible students to apply and be considered for the state funded Oregon Opportunity Grant (OOG) and, if eligible, Oregon Promise. In order to be qualified for OOG, students need to be Oregon residents or be exempted from paying non-resident tuition (through a program like HB2787 Tuition Equity). Eligible students can apply using the Oregon Student Aid Application (ORSAA). Students can visit the OSAC - Oregon Office of Student Access and Completion website to determine if they are eligible to file for ORSAA. Oregon State University offers a variety of merit based scholarships that are open to all incoming freshman and transfer students, including undocumented students. Students are considered for these awards based on their residency, GPA, test scores, and more. To apply for incoming student scholarships, students must complete the scholarships portion of the admissions application and have a complete application (application, test scores, and transcripts) submitted to the Office of Admissions by the scholarship deadline (February 1st). 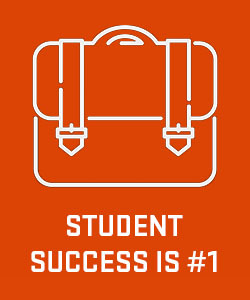 To learn more about new student scholarships visit, www.oregonstate.edu/scholars. Academic departments may also award scholarships to new OSU students. Eligibility for scholarships awarded by academic programs varies based on department, student status, GPA, test scores, etc. Certain academic departments may use the information from the admissions application to award scholarships while others may require a separate application to be considered. Not all academic department scholarships may be available to undocumented students depending on the funding source of the award. 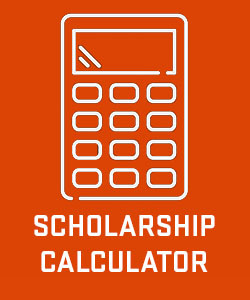 To learn about potential scholarships available through academic programs and other outside scholarship opportunities visit http://blogs.oregonstate.edu/scholarships/ or contact the academic department. Students are also encouraged to apply for scholarships offered by organizations outside of OSU. These awards may be available through non-profit organizations, community based organizations, companies, and more. Websites such as TheDream.US are a good starting point for undocumented students who are exploring scholarship opportunities. Before submitting applications for third-party scholarships, students should check the organization's website of validaity and reviews, and check to ensure that the application for the scholarship does not have an application fee. Finding the right college fit is an important process when choosing the correct school and nothing beats a visit to campus to picture yourself as an Oregon State student. Take a student-led tour of OSU’s beautiful campus, check out the residence halls, meet OSU faculty and students, and learn about the academic programs available at Oregon State. The Campus Visitor Center in the Office of Admissions at Oregon State offers campus visits for individuals and families and also hosts several full-day open house programs throughout the year. Visitors will have the opportunity to meet current students, learn about the admissions process, explore different academic interests, find out about scholarship opportunities and much more. High school groups and/or school organizations wishing to visit campus can also arrange group tours through the Campus Visitor Center. For middle school groups and organizations, please connect with Precollege Programs. 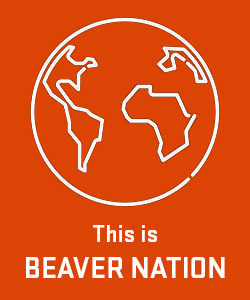 To schedule a personalized visit of Beaver Nation, contact the Campus Visitor Center at 800-291-4192 or online at oregonstate.edu/visitosu. Spanish tours and admissions appointments are also available upon request in addition to any special accommodations or translator requests. Oregon State University is home to EOP (Educational Opportunities Program) which is available to meet with groups or individuals during campus visits. Students can contact EOP directly to organize a meeting or they can request that an EOP meeting be included in their schedule when arranging a campus visit through the Office of Admissions. Precollege Programs also offers visit opportunities for groups and is able to accommodate middle school programs. OSU campus field trips offered through Precollege Programs can include campus tours, hands-on activities, lunch on campus, and more. 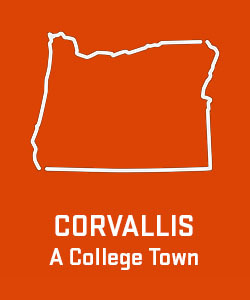 To arrange a visit through Precollege Programs, please visit http://oregonstate.edu/precollege/. Oregon State University (OSU) strives to create a supportive environment so that students can be successful inside and outside of the classroom. There are many campus resources available to undocumented students. Students should contact any programs they may be interested in utilizing while attending Oregon State. Many of Oregon State’s support resources are made available through student fees. Any student who is paying on-campus student fees, is able to take advantage of these resources for no additional cost. In addition, most student support is available for all OSU students. For a robust list of OSU resources and services visit the OSU resource page. For more information about resources and support for undocumented and DACA-mented students, visit undocumented.oregonstate.edu. Educational Opportunities Program (EOP) provides personal and academic support for students who have traditionally been denied equal access to higher education. Students who participate in EOP have access to a variety of services including: assistance with the application process, assistance locating financial resources, academic and personal counseling, access to specific math, reading and writing courses, support with finding jobs and internships, and much more. EOP provides support to students of color, students with disabilities, students who are single parents, low-income students, students who have been rurally isolated, undocumented students, veterans, older-than-average students (25+), and first generation students (neither parent graduated from college). For more information or to apply to EOP, visit http://oregonstate.edu/dept/eop/. Diversity & Cultural Engagement (DCE) serves as the cornerstone to all student diversity efforts at Oregon State University. DCE provides opportunities for students to succeed academically, personally and professionally by providing unique learning experiences and learning spaces for students to engage in building community, receiving needed support, and developing an ethos of social responsibility and success. Diversity & Cultural Engagement also serves as the home to seven Cultural Resource Centers on campus: Asian & Pacific Cultural Center, Centro Cultural César Chávez, Ettihad Cultural Center, Lonnie. B. Harris Black Cultural Center, Native American Longhouse Eena Haws, Pride Center, Women’s Center. All of the Cultural Resource Centers and programs are open to all students regardless of race, ethnicity, religion, ability, class, citizenship, nationality, or age. This student club serves to advocate for the support of DACA students and undocumented immigrants in the United States in policies and programs created on both the large level government scale and the smaller university scale. Here to Stay also provides information about resources that are available to DACA and undocumented students at Oregon State University. The Human Services Resources Center provides direct service, outreach, education, and referral services to OSU students that help alleviate the effects of hunger, poverty, and other human needs so that students can pursue a quality education. We also create a dynamic learning environment in which students, faculty, and the community can learn how to meet the current pressing societal challenges facing college students. Counseling and Psychological Services (CAPS) provides a variety of services to members of the OSU community to address the challenges and difficulties students face. These services are designed to help students understand themselves better, create and maintain satisfying relationships, improve their academic performance, and make healthy and satisfying career and life choices. ASOSU-the Associated Students of Oregon State University- is every student at Oregon State University. ASOSU exists as an organization to promote academic excellence, encourage the intellectual, social, cultural, and physical development of the student body, and enable the student body to assert its varied interests as citizens and members of the academic community through democratic representation. ASOSU Student Legal Services provides legal advice and representation to OSU students when the other party to the dispute is not also an OSU student or a part of the university or one of its administrative units. Advising which may consist of consultation and, in limited circumstance, representation is provided for specific areas of dispute including; immigration, landlord/tenant disputes, wills & power of attorney, and more. Oregon State University students can be reassured that their health is supported by many caring staff and faculty members. In the forefront for health is Student Health Services. SHS clinicians, health educators and other highly skilled health professionals provide campus-wide comprehensive primary health care, disease prevention and treatment services, and extensive health promotion for all OSU students. Childcare and Family Resources advocates for and provides services to students with children and all families with dependent care needs across campus to promote the academic, professional and personal success of the whole person. We work to identify and remove barriers for students with children to ensure equal access to campus opportunities and resources.